We help you raise the value of your exhibits and efforts. But we don’t build or run your booth. Instead, we help with what happens in and around it. Our vital digital and human tradeshow solutions help you before and after. We are all about tradeshow lead management. The technology and approach we offer to organizers, exhibitors and sales teams set them up for success. Success means the time and money you invest in events reward you with results in the form of leads. And you depend on that. Improve your tradeshow lead management through a wealth a simple smartphone app and end-to-end customer support. First things first, the details of what our team delivers to your team. There are many reasons to participate in events, including tradeshows, expos, and conferences. You need visibility, and your competitors are there. You’re trying to learn something. Often, you may be teaching or sharing something through a speaking opportunity. But one of the top jobs of the tradeshow manager is to provide high-quality, actionable data to the organization. Most often, you make the investment with the goal of bringing back new contacts. Or maybe it’s all about building or keeping relationships with current customers. It can even be about forming new alliances with potential partners. Lead management is the key to success, and you need the right tradeshow solutions to support that. The traditional means of managing leads from tradeshows is not ideal. In fact, it is usually spotty at best. Does this sound familiar? Sales professionals await booth traffic and watch name badges for people or companies that might be important. If they’re good, they know how to engage. Many multitask, reducing the chance of valuable interaction. Once they make eye contact, it’s all about the business card exchange. Then, the shuffle begins. The card goes in the pocket, maybe with a note scribbled on it in haste. Although the most promising cards may have a special place, the rest are usually thrown into a stack. Then what? Does the pile sit on the corner of the desk getting colder by the day? Or maybe an assistant gets the task to enter them into a spreadsheet or CRM. 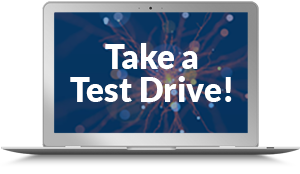 The chances of data loss or inaccuracy are high, and there is no lead qualification involved. Tradeshow organizers sometimes offer on-site badge scanning technology. These systems carry additional cost, and there is no integration. Instead, the output is usually a spreadsheet, and the data cannot be compiled across shows. Executives, marketers and sales teams at companies that exhibit in multiple tradeshows know they are leaving leads – and money – on the table. And even when they gain the value of great brand positioning, it can make the case for future investment a challenge. 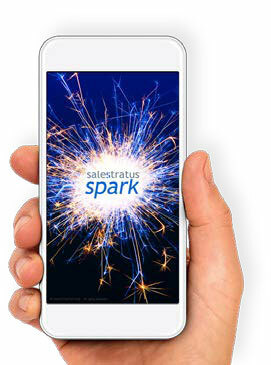 The Sale$tratus® SPARK App, available for iOS and Android, works through your smartphone. In order to provide the exact things you need for your next shows, we pulled together our best thoughts the subject. It’s all here, and it will keep growing. That’s because we’re not happy until you have all the tradeshow lead management solutions you need to make you look good. In other words, we want to help you make your show a big hit, with or without the app. This is an ongoing process of learning and improvement. So we hope you will check back often for updates. Please help us co-create, innovate and evolve our tradeshow solutions and support. Contact us to share your questions and suggestions with us. We highly value your feedback!